The ICT Farming Group is promoting the expansion of workable area by one-man operation, high-precision machine work by non-skilled operator, low cost by variable fertilization etc. so that producers in Hokkaido can deal with such issues as aging of farmers, shortage of operators, and expansion of scale of cultivation. We are aiming at developing and demonstrating a large-scale farming model using information communication technology (ICT) and robotics technology. We are focusing on the development of cultivation management support system using ICT. 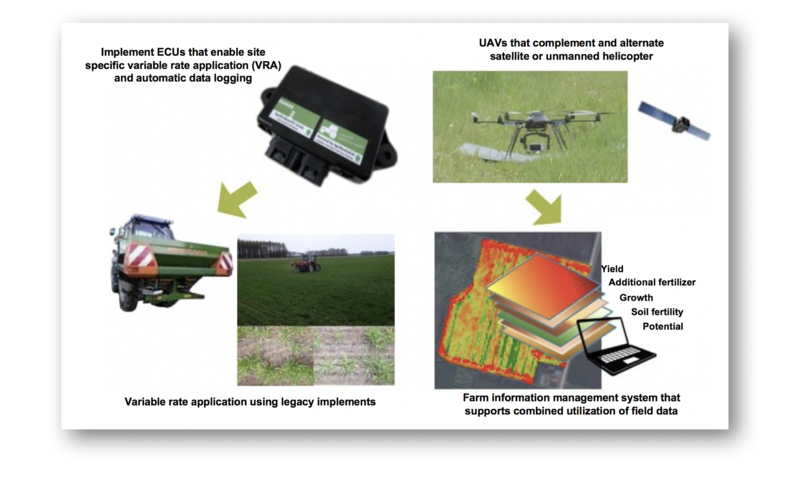 We are establishing a farming system model based on common communication control technology, agricultural robots, drone, radar proximity, production history record, sensor data integration etc. in order to improve the profitability of agricultural field farming and to develop work technologies and systems that support work decisions and enable accurate cultivation management using ICT. On-site demonstrations are being carried out to facilitate efficient utilization of these technologies in the fields.